For the first time, Paris and Hong Kong have joined Singapore at the top of a cost-of-living index of the world's most expensive cities to live in. 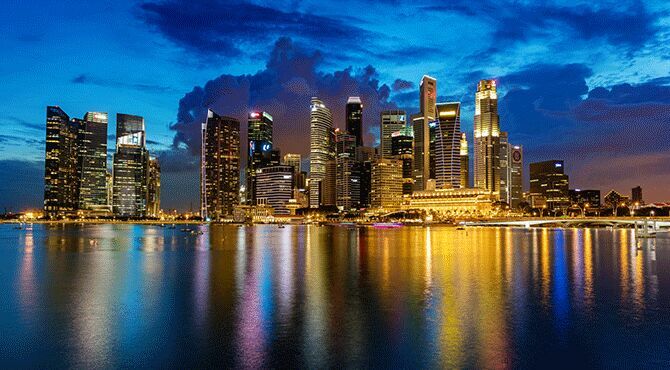 The Economist Intelligence Unit's (EIU) bi-annual survey, which compares prices across 160 products and services in 133 cities, is designed to help companies calculate cost-of-living compensation for expatriates and business travellers.It is the first time in 30 years that three cities have shared the No 1 spot, which Singapore had occupied alone for the past six years.Roxana Slavcheva, the report's author, commented, "Converging costs in traditionally more expensive cities is a testament to globalisation and the similarity of tastes and shopping patterns. "Even in locations where shopping for groceries may be relatively cheaper, utilities or transportation prices drive up the overall cost of living." Asia and Europe dominated the top of the rankings, with only two US cities - New York and Los Angeles - featuring in the top ten, mainly as a result of the strengthening dollar over the past year.At the bottom of the list was Caracas, where inflation reached nearly a million per cent last year. Damascus, Karachi, Buenos Aires and New Delhi also featured among the cheapest cities. "Political instability is becoming an increasingly prominent factor in lowering the relative cost of living. This means that there is a considerable element of risk in some of the world's cheapest cities," the report said. "Put simply, cheaper cities also tend to be less liveable. "In the UK, both London and Manchester climbed up the cost of living rankings after a recovery in the value of sterling. London shared 22nd place with Melbourne and Milan, while Manchester was in joint 51st place with Adelaide, Lyon and Boston. The EIU said London remained 14 per cent cheaper than New York, which is used as the base city in the calculations. On the other hand, the European cities of Geneva and Zurich - along with Paris - were all found to be costlier places to live than the Big Apple. Copenhagen was adjudged to be equally expensive as New York. "European cities tend to have the highest costs in the household, personal care, recreation and entertainment categories - with Paris being a good representative in these categories - perhaps reflecting a greater premium on discretionary spending," said Ms Slavcheva.Currency volatility played a part in changing the rankings of many cities, making both Istanbul (which fell 48 places to 120th on the list amid "uncontrollably high" inflation) and Moscow, which has been affected by Western sanctions, more affordable.